View of the beach just steps from the unit! Welcome to our condo on the beautiful island of Maui. COMPLETELY REMODELED!! 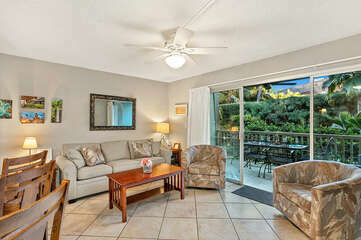 Only steps away from the white sandy beach. 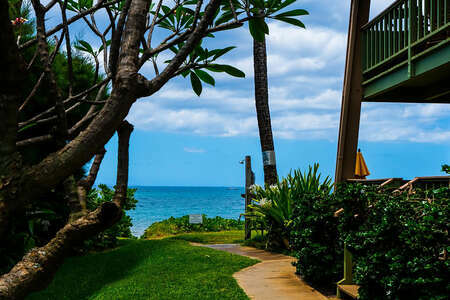 Located in Kihei on Sugar beach where you can walk for miles and enjoy the beautiful scenery or dip your toes in warm ocean waters of Maui and if your lucky, you might even see a turtle on the beach. 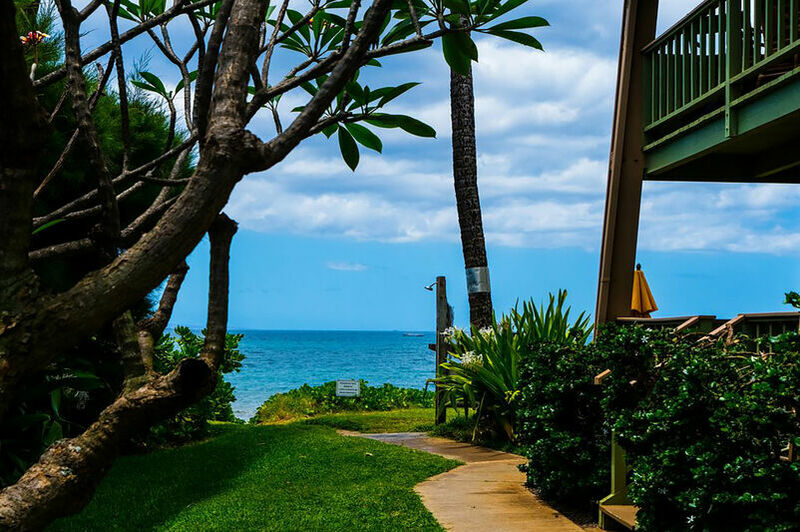 Great swimming beach, plenty of parking, and you can fish right from the beach while enjoying unforgettable Maui sunsets. Our condo has a kitchen with granite slab countertops and all brand newer appliances (refrigerator, dishwasher, microwave, stove). 1 bedroom with king size bed and a queen sleeper sofa in the living room with a memory foam 3-inch topper (sleeps 4), bath and beach towels, and all linens are provided. In-room safe for your use. For your comfort, the condo has brand new air conditioners in the living room and bedroom, flat screen Sony smart TV. Laundry facility available onsite. Enjoy your meals on our large lanai and cool down in the pool. BBQ grills and lounge chairs/umbrellas are located on the property for your use.